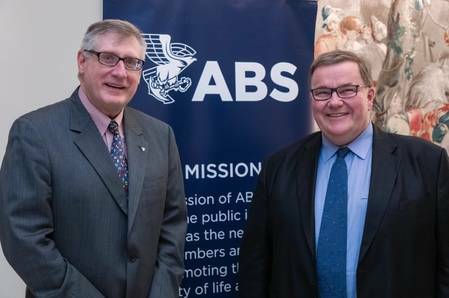 ABS National Committee has met recently in Germany to explores pathways to 2050, automation and digital with German maritime leaders and offered insight on key challenges. Vessel automation, demystifying digital technologies and pathways to 2050 compliance led the debate at the ABS German National Committee, said a press note from the global provider of classification and technical advisory services to the marine and offshore industries. “ABS is committed to the German market and we have relocated European management to Hamburg to further enhance our deep relationships with German ship owners. This long-standing relationship means the Committee includes industry leaders that offer powerful insight on the technical and regulatory challenges facing the industry—as we harness digital technologies and innovation to meet 2030 and 2050 decarbonization objectives,” said Christopher J. Wiernicki, ABS Chairman, President and CEO, who actively participated in the Committee program. ABS continues to hold a leadership position as a global class organization in Germany and maintains a strong command of the new construction market. Guest speaker Oscar Levander, Rolls Royce Senior Vice President for Concepts & Innovation, discussed autonomous vessels and how they have the potential to be a disruptive force and redefine shipping.